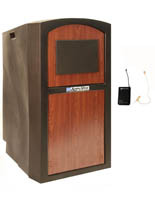 This rolling outdoor podium can endure any climate change and location, whether it be indoor or out, because of the weatherproof shell. 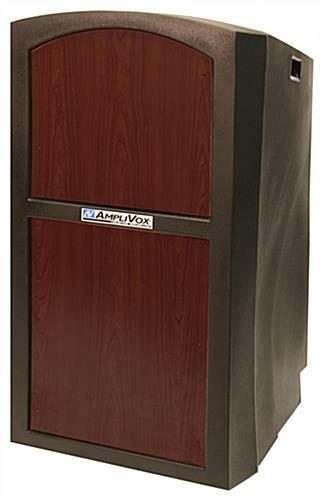 Utilize this AmpliVox portable fixture along with you to any conference, banquet or event using its 2 built-in handles for easy manageability. 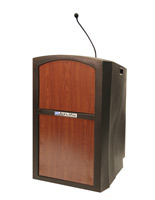 The rolling podium includes 2 base wheels for a smooth transition from one location to another regardless of the terrain indoor or outside. 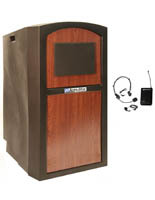 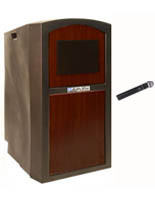 Along with its built-in compartment for a clock/timer (not included) to help keep presenters on track. 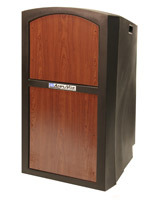 The podium is made to withstand tough conditions and maintain it's beauty. 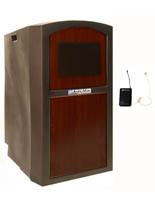 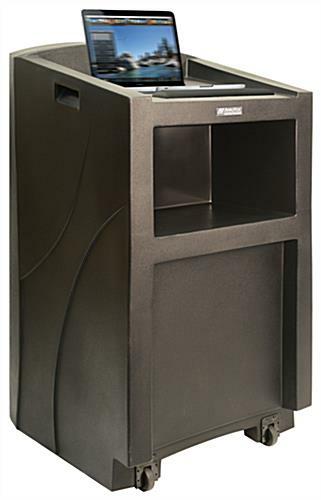 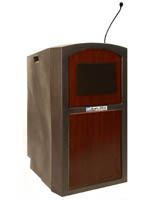 Featuring a portable design, tech-savvy components and weather resistant characteristics, this AmpliVox portable lectern provides a gem of a presentation centerpiece.